The Braun Series 3 390CC-4 includes a shaver and a cleaning and charging station. The shaver and unit are made with a sleek shiny black casing with blue highlights, which make it look like a premium line, even though it isn’t. The Braun shaver has a foil-style head and can be used either wet or dry. Braun wants every man to have smooth clear skin that stands out from others. 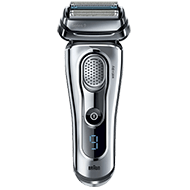 The Braun Series 3 390CC-4 shaver is cordless and rechargeable. Braun is well-known for their foil-style shavers, as most of their line of men’s shavers are foil and not rotary. 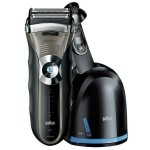 Braun claims that using a foil style shaver will give men 30% less skin irritation than rotary style shavers. The Braun Series 3 is Braun’s latest line of men’s shavers. It’s a more premium line of shavers than their older lines, and are for men willing to spend a bit more money to have the best shaving experience possible. The shaving head will move and glide against your skin, adapting to each contour and angle of your face. This will give you a clean, close shave, no matter what your face shape is. Built within the Braun shaver head are three different adaptive cutting blades. These blades are floating, and each designed to trim long or short hair with the Triple Action Cutting System. Each of the three cutting blades trims off different types of hair, such as long, or short. This enables the shaver to be easily controlled, and still have an irritant-free shave. 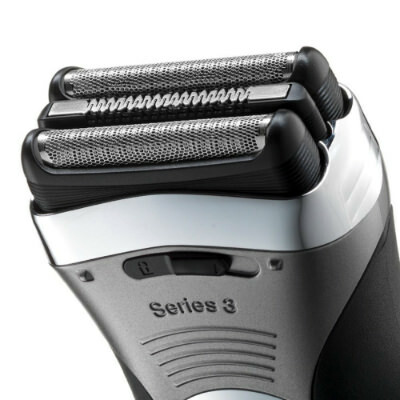 The blades within the shaver are built with a “Triple Action Free Float System”. They’re designed to trim more efficiently than other brands of men’s shaver, getting down closer to the surface of the skin. 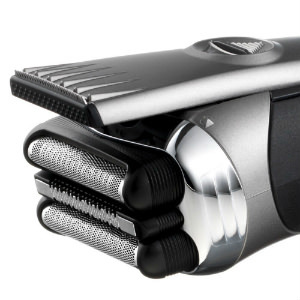 The foil built into the head of the shaver is made with Braun’s patented SensoFoil technology. This foil has been made with hundreds of tiny holes that are designed to trap hair, without tugging or pulling, and then neatly trim them off near the surface of the skin. These optimized foils are what makes shaving so easy. 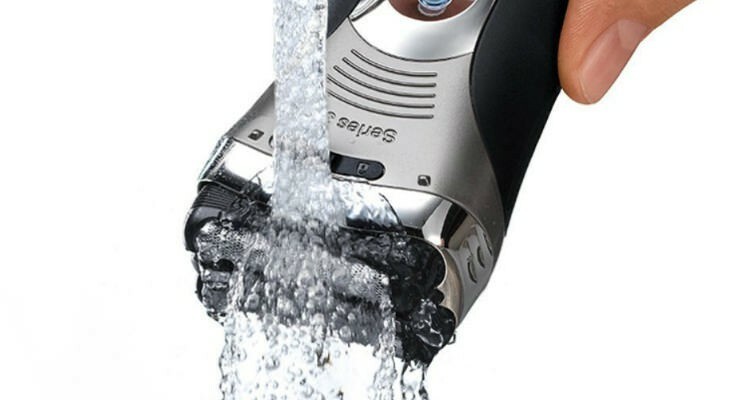 The Braun shaver is 100% waterproof, so that you can use it for shaving in the sink, or in the shower. You can add shaving creams, gels, foams, and lotions, to get an irritant-free shave. 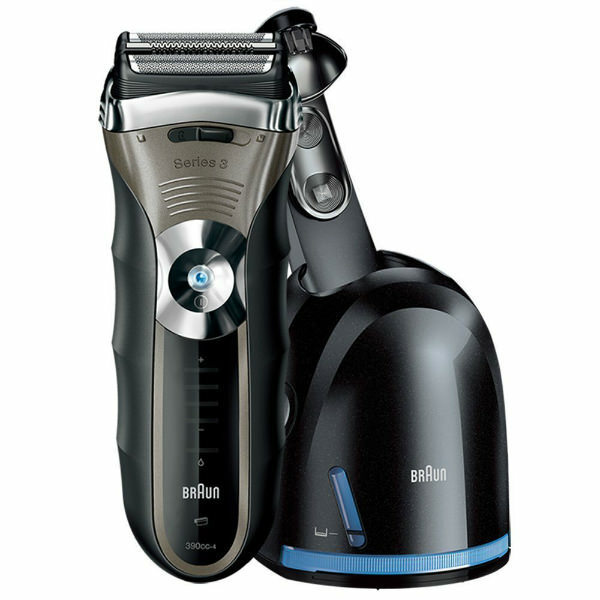 You’ll find that the Braun Series 3 390CC-4 does a great job at making the face smooth and clear of hair and stubble. It’ll glide smoothly and gently across skin, providing a comfortable and irritation-free shaving experience. It doesn’t matter if you have one day stubble, or a noticeable three day beard, the shaver will perform just as well no matter how long your hair is. It’s simple to clean the Braun Series 3 390CC-4. The Clean and Renew system will clean and lubricate your Braun shaver, restoring it to like-new condition each time you use it. It’s recommended that the shaver be frequently cleaned with the included cleaning and charging unit. The Clean and Renew system has been made specifically for the Braun Series 3 390cc shaver. You’ll find that your shaver will not work with older models of the Pulsonic or Synchro series, nor will you be able to use your older Braun shavers in this new Series 3 Clean and Renew system. This Clean and Renew system is simple to use. It does all three tasks: clean, charge, and lubricate within the Clean and Renew system automatically. Simply place your Braun shaver head down into the unit and press the button. The cleaning system will automatically start cleaning, charging, and lubricating your shaver. The cleaning unit takes additional cleaning cartridges, which are recommended in maintaining the Braun Series 3 390CC-4 shaver. These cartridges are replaceable, and you can slide them into the base of the Clean and Renew system. They aid in cleaning the tiny blades of the Braun shaver, and also extend the life of it. They make shaving a more comfortable shave. Each cleaning cartridge will last you about two to three months, depending on how often you use it. If you clean your shaver twice a week, you may get up to three months of usage. These Clean and Renew cartridges come in a four pack refill kit. Within each is an alcohol-based cleaning solution, which is perfect for eliminating about 99.999% of most germs. They have a fresh lemon scent. Using the Clean and Renew system has been proven to remove more bacteria from your shaver than if you simply washed it under a running tap. If you wish to skip the cleaning system for a day or so, you can also clean the Braun Series 3 390CC-4 shaver under a running tap of water. All you have to do is rinse it clean under a tap, and shake it dry. Pat it with a towel and let it air dry, and it’ll be ready for you by the next day. 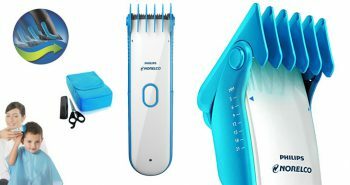 The back of the shaver has a pop up long hair trimmer which is perfect for trimming sideburns, beard, and mustache. This Precision long hair trimmer has been designed especially by Braun so you don’t have to use the main foil head of the shaver to get into those tight corners. 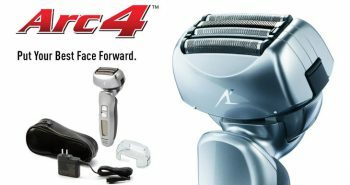 On the front of the shaver’s body is a four stage LED display to tell you the status of your shaver. It will tell you when it needs to be charged, how much battery power you have left, and whether it needs to be cleaned. 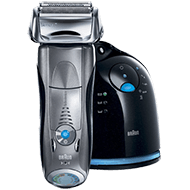 How Can I Get the Best Shave from Braun Series 3 390cc? Braun recommends that you shave over the sink before you take a shower. If you haven’t shaved for several days, such as after the weekend, they suggest you trim your stubble first before using your shaver. You’ll want to shave at right angle of ninety degrees to your skin. 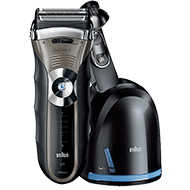 Some of the other Braun shavers in the line that have Clean and Renew stations can be costly, as well as in other brands. Braun has provided an affordable solution to when you want that separate cleaning station, but can’t afford a shaver kit in their Series 9 line. The pricing of the Braun Series 3 390CC-4 makes it affordable, particularly since it includes the cleaning and recharging station. Inside the box is the Braun Series 3 390CC-4 cordless men’s shaver, attached pop-up trimmer, and the Clean and Renew system. There is also a cleaning brush, the SmartPlug 100V to 240V charger, one Clean and Renew cartridge, and a travel pouch. You may purchase additional Clean and Renew system 4 pack refills, and a new foil cutter for the head of the shaver. The shaver head should be replaced about once every eighteen months. There is a replacement part indicator light on the front display of the shaver so that you’ll know the best time to do this. If you’re a man who wants to look their best, and not have to fuss around with a cordless shaver in the morning, the Braun Series 3 390CC-4 shaver and its included cleaning and charging unit will decrease the chore of shaving, and avoid having to manually clean the shaver afterwards. The Clean and Renew unit will keep your shaver in perfect running order. Is the 390cc 4 wet and dry ? The Braun shaver has a foil-style head and can be used either wet or dry, ok.